In keeping with the religious notion of reincarnation, apparently some drugs are destined to be reborn, redesigned, and re-packaged for brand new indications. I've written about Contrave and Silenor for instance—two drugs with generic counterparts that have been re-tweaked and renamed for newer (and larger) markets. In early April, the FDA granted its approval to yet another "new" agent (that's "new" with an asterisk, mind you), Horizant, developed by GlaxoSmithKline (GSK) and Xenoport. Horizant is a name-brand version of gabapentin, also known as Neurontin. But instead of simply re-labeling gabapentin and introducing it with a new name, GSK made some subtle changes to gabapentin that may provide advantages over the already-available alternative. But the question is: at what cost? And for what, exactly? 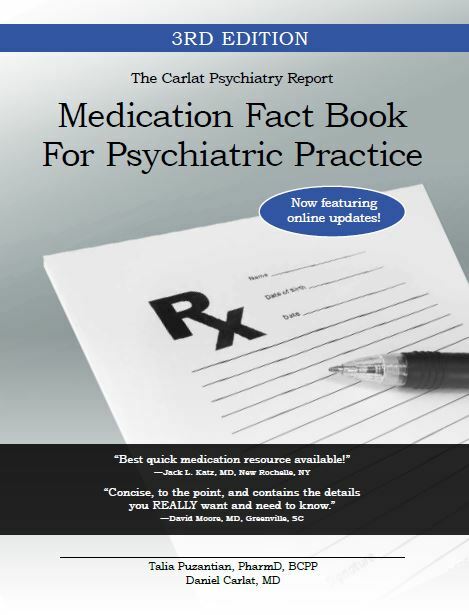 Gabapentin was first approved in 1994 and is marketed as Neurontin. It's approved for the treatment of partial seizures and post-herpetic neuralgia (although its manufacturer, Pfizer, got into some serious trouble for extensive off-label marketing of this compound—seems to happen a lot these days). Gabapentin is actually quite widely used by neurologists and psychiatrists, not just for seizures, but also for chronic pain syndromes, anxiety, mood stabilization (where it's not particularly effective), and even for alcohol dependence. Gabapentin's bioavailability—the proportion of drug that enters the bloodstream when taken as an oral dose—is rather low (and, paradoxically, decreases as the dose is increased) and the duration of its action is quite short, which means that users need to take this drug three or four times daily. The key advantage of Horizant is that it is a "pro-drug." Technically it's gabapentin enacarbil, and the "enacarbil" refers to a molecule added to the drug which allows it to be absorbed along the entire GI tract, resulting in greater blood levels for a longer period of time. So who might use Horizant? Well, GSK and Xenoport probably hope that anyone who currently uses Neurontin (and there are a lot of them) is a potential patient. 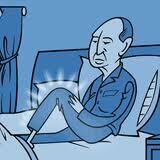 Officially, though, Horizant was approved only for the treatment of restless legs syndrome (RLS). don't think so!] 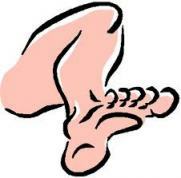 when it introduced Requip, the first "treatment" for RLS.) In particular, whenever you see a headline like "Disease X may affect 7-10% of the population" when, in fact, no one had even heard of Disease X ten years ago, you have to be somewhat suspect. treatment. (Whether it afflicts 10% of the population is another story.) Current treatment strategies involve dopamine replacement, in the form of Requip (ropinirole) or Mirapex (pramipexole) so maybe dopamine insufficiency is part of the process. However, the symptoms of RLS are rather nonspecific: "an urge to move the limbs, which improves with activity and worsens with rest." That's about it. Which leads to yet another problem (a problem that GSK and Xenoport don't see as a problem, that's for sure): with such vague and common symptoms (who among us hasn't felt somewhat restless at times, with interrupted sleep? ), a lot of people might get diagnosed with RLS when their symptoms are actually due to something else. 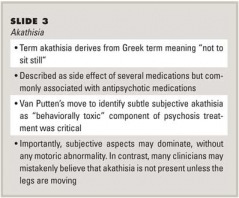 Psychiatrists really don't know exactly what causes akathisia, and disagree on how to treat it. It may have something to do with dopamine blockade, or something completely independent. 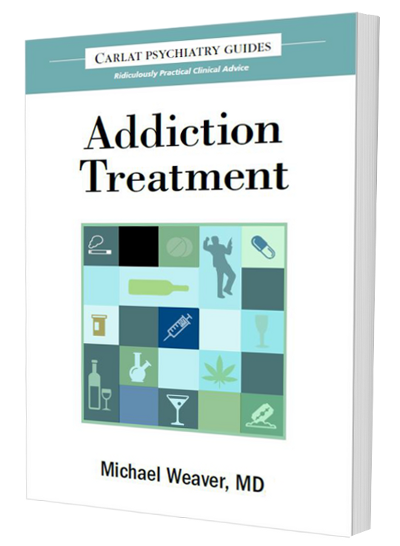 Treatment might consist of benzodiazepines (like Ativan or Valium), beta blockers (like propranolol), or discontinuing the drug that caused it in the first place. So what does this all mean for Horizant? It's likely that GSK/Xenoport hope to capitalize on the nonspecificity of symptoms, the tremendous diagnostic overlap, and the fact that motor side effects, in general, are common side effects of antipsychotics (one of the most widely prescribed drug classes worldwide). In other words, they know that there are a lot of people out there with "restless legs" for all kinds of reasons, and lots of psychiatrists who will misdiagnose akathisia as RLS and prescribe Horizant for this purpose. Sound fishy? You be the judge. Remember, there is this pesky little thing called "return on investment." Steve Balt is psychiatrist at North Bay Psychiatric Associates in San Rafael, California and writes his own blog: Thought Broadcast. There are a number of new and rapidly growing physician social networking sites, and two of the largest are Sermo and QuantiaMD. They both offer tempting packages of free information to doctors, including CME. When stuff is free to you, someone else is paying for it. That "someone" has a stake in the content, and the art of operating an ethical educational website hinges on creating a good firewall between product promotion and educational content. In the spirit of full disclosure, I have an iron in this fire, since I own a for-profit publishing company (called, amazingly enough, Carlat Publishing LLC) and I have chosen a business model relying exclusively on users paying for content. 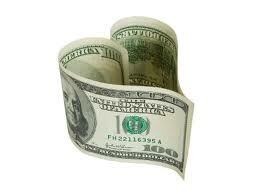 That way, my readers know that there is no hidden promotional agenda. I don't have to deal with firewalls, because there is nothing to wall off. I hope that this leads to high quality, trustworthy content; I know for a fact that it is a hard way to make money. After 8 years in business, my company's gross annual income from two newsletters and some joint sponsorship arrangements is slightly over $500,000--which is probably what Medscape charges for a single sponsored web-page. Am I bitter? You bet. At any rate, when a new medical education website comes on the scene, I give it a close look, both to check on the competition and to provide fodder for this blog. QuantiaMD was founded in 2003, and describes itself as "an online physician-to-physician learning collaborative where 1 in 6 U.S. physicians engage, share, and learn from experts and each other, free of charge." The site specializes in short video powerpoint presentations--some are CME accredited, others are not. The quality is usually good. They get top academics as well as just very good doctors to give mini-talks. There's plenty to learn on QuantiaMD. "QuantiaMD generates revenue through sponsored content that is delivered to physicians as short, interactive, educational presentations narrated by medical experts. This content is always accompanied by sponsors’ logos, and the decision to view is at the physician’s discretion, with no associated penalties or rewards. QuantiaMD proprietary technology ensures that physicians will only be offered sponsored content that aligns with their specialty. Sponsors do not, in any way, influence the non-sponsored content that QuantiaMD members experience." Okay, so they charge drug companies for a portion of its content, which should be clearly labeled as sponsored, and this money allows them to create unbiased content in the rest of the site. Sort of like Medscape without the ads. But when you get on the site, it's far from clear where the sponsored content begins and ends. 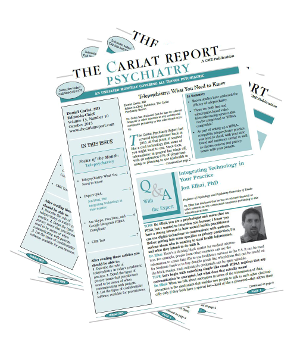 Navigating to the psychiatry section, the first thing you see is the "Expert Practice Series in Enhancing Psychiatric Care," and the featured presentations are on bipolar disorder. I watched some of them, and they were useful, by and large, and not clearly biased in favor of any particular bipolar medication. But I was perplexed that there were no industry disclosures listed in this section, although virtually all their featured experts have extensive industry relationships (Dr. Charles Nemeroff, for example, is one of the presenters). "Thank you for your message. In terms of industry disclosures, I was aware that these need to accompany accredited content for CMEs, but I was not familiar with the need for these with unaccredited content. However, if this is an issue, I’d be grateful to hear more about your thoughts on this (and please excuse my naiveté) to direct how we incorporate industry disclosures moving forward. In terms of this TRD program, neither the Program nor the series had any direction or influence from a commercial entity. Both were conceived from our Primary Mental Health Interest Group, which was itself created to help address the problem that a great many of our PCP members told us they were struggling with: whether, how and when to diagnose, treat or refer their patients with mental health disorders. In general, all commercial content on QuantiaMD is clearly marked and opt out. All non-commercial content, like the TRD series, is developed by independent subject matter experts with the support of our internal editorial team. This content is developed in response to the measured needs and suggestions of our clinician community." "Ross, I agree with everything you have to say below. But if I were you I would put that very same explanation on your Interest Group page (or a link to an explanation, like "Where are the industry disclosures?"). The mental health experts on your site are well known in the psychiatric community for their close ties to the pharmaceutical industry, so I'm sure I'm not the only doctor with the same question. You might also explain how these doctors are getting paid (presumably directly by QuantiaMD, out of funds obtained via pharma ads and CME sponsorship), because in these days of cynicism every doctor realizes that no high quality information is free, and if they are not paying for it someone else is. Inquiring minds might be eased by Quantia's acknowledgment that it's important to follow the money trail if we want to trust the objectivity of your education." Ross responded diplomatically: "Thank you for this insight. As we grow as a physician community and begin to do more promotion of our programs to the outside world, input like this is very helpful. We truly believe in the value of our content and don’t feel that we have anything to hide in terms of our business model, but it is important that we provide as much information as necessary so that everyone else we speak with about what we are doing feels comfortable as well." This email exchange was on March 9, and since then there was been no discernible "QuantiaMD Spring" of increased transparency. There are still no industry disclosures in the Expert Practice Series, nor does the site print an explanation of why. Meanwhile, as I dug a bit deeper into the other sections of the site, I was disheartened to find that the CME activities I sampled were biased in favor of the commercial interests of the sponsors, if subtly so. For instance, PriCara, a Division of Ortho-McNeil-Janssen Pharmaceuticals, supports QuantiaMD's CME lectures on the management of chronic pain. PriCara markets the Fentanyl patch. One of the presentations, "Managing Chronic Pain with Opioids in a Primary Care Setting," reassures doctors that a positive opiate screen "does not diagnose drug addiction, physical dependence, or impairment." And on the final slide, one of the four "Take Home Messages" was that "the prevalence of 'true' addiction in patients treated long-term with opioids is unknown but appears low in a community sample." I'm certain that this is a debatable assertion among chronic pain experts, and that a "fair balanced" program would have better covered the range of views. Overall, the program portrays chronic opioid use as something that can be easily managed and for which the dangers of addiction are low. That's music to the ears of the Fentanyl Patch people who paid for this "CM-Ad." Dr. Bowden may want to review UT Health Sciences Center's policy on relationships with industry, which states that "Clinicians should not deliver talks that support a drug or device manufactured or marketed by the sponsoring company." I don't know if this Quantia gig runs afoul of that guidance, but it's certainly treading the line. Dr. Masand's employer Duke also frowns on promotional speaking, but its policy reads less strict than UT's. To sum up, QuantiaMD is a mixed bag of great unbiased content mixed with promotional brand messaging. Figuring out where the honest education ends and the promotion begins is a challenge. The cynic in me suspects that this opacity is purposeful, and is done to ramp up sponsorship fees. Drug companies love promotion that does not look like promotion, and are willing to pay a premium for it. I give QuantiaMD kudos for trying to create a useful website with minimal commercial content, and they succeed much better than some of their competitors, such as Medscape. But there's still that familiar sneaky hidden agenda feel to their site. Is it possible to create a large, robust, technologically sophisticated medical education site paid for exclusively by physician users? I pray that the answer is yes. Makers of atypical antipsychotics are desperately trying to differentiate their products from their competitors. 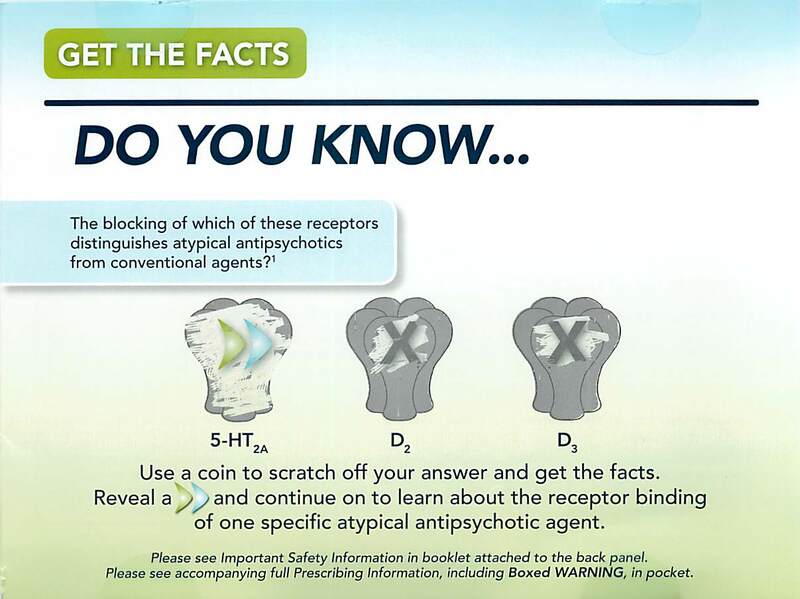 This explains the deceptive insert from Vanda Pharmaceuticals that was bagged with the latest version of the APA's newspaper, Psychiatric News. Evidently appealing to the scratch-ticket set among psychiatrists, Vanda drew cartoons of three different brain receptors: 5-HT2A (serotonin 2A), D2 (dopamine 2), and D3 (dopamine 3). The quiz question is: "The blocking of which of these receptors distinguishes atypical antipsychotics from conventional agents?" Here you read what is (to the uninitiated) a bunch gobbledygook about binding affinities, cholinergic receptors, etc.... For the well trained psychiatrists, however, this is, well, a bunch of gobbledygook about binding affinities and receptors. 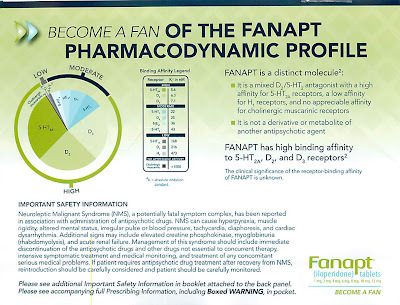 Vanda is boasting about Fanapt's "distinct" receptor profile, but in the fine print, they admit that "The clinical significance of the receptor-binding affinity of FANAPT is unknown." You can say that again. 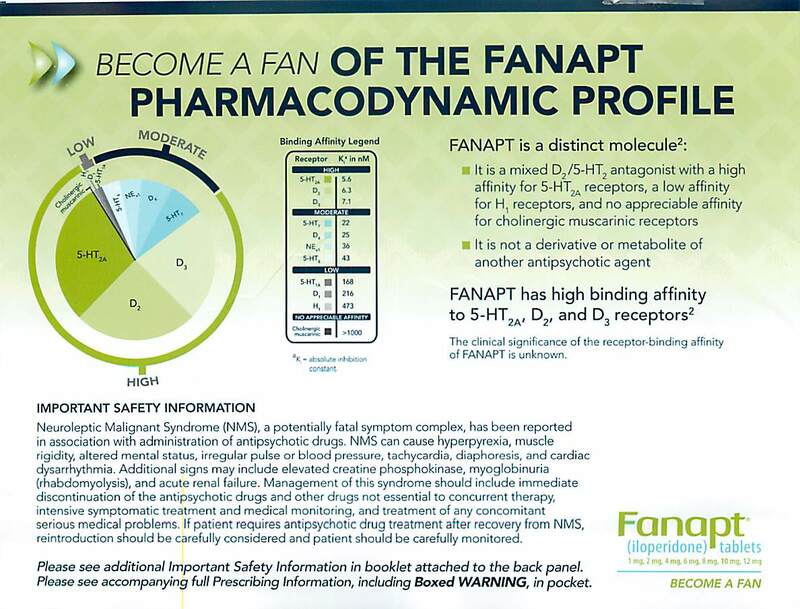 In fact, Fanapt touts its low affinity for H1 (histamine) receptors, implying that it won't cause sedation and weight gain. Unfortunately, in the real (clinical) world, "somnolence" is one of Fanapt's prominent side effects (package insert), and it caused significantly more weight gain than Geodon in head to head trials--6.2 pounds vs. Geodon's 2.4 pounds after 4 weeks of treatment (see abstract here). Vanda doesn't highlight the fact that Fanapt causes a potentially dangerous EKG change called QT widening, and that one of its receptor binding properties causes so much dizziness upon standing up that patients have to increase the dose very gradually to prevent fainting. Yes, you can find this information in the insert, but you'll have to look for it. This is deceptive advertising, because the underlying message is "Fanapt is better than other antipsychotics because it's biochemically special," but the reality is that the biochemistry of Fanapt is not clearly related to its side effects, it is no more effective than any other antipsychotic, and it costs over $600/month. My beef isn't just with Vanda's sleezy ad, but also with the APA, which made the wrong decision to grab the large amount of money that such special inserts cost. It is the responsibility of the editors to screen such ads and to reject them when they are misleading. In a fascinating series of articles released yesterday, ProPublica details how a heretofore obscure medical organization, the Heart Rhythm Society, pulls drug and device company cash in hand over fist. You'll find the main article here, along with links to several companion pieces, my favorite being this devilishly fun interactive piece in which you can click on graphics of cardiologists sprinting to various industry-funded events and exhibits. Each time you click on a cardiologist, you get a list of the sugar daddy companies, along with details of how much was spent on what. It's more amusing than playing Angry Birds. "The society has sufficient measures in place to prevent undue influence from industry or introduction of industry bias into HRS-sponsored educational programs, research, scientific documents and policy initiatives." I suggest you read all their responses to ProPublica's questions. 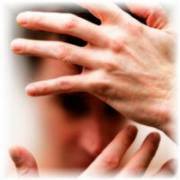 There is an unmistakeable whiff of defensiveness and deception. There are certainly many questions that are answered circuitously or not answered at all. Look, having undergone a cardiac procedure myself a year and a half ago, I'm all for cardiologists learning all they can and collaborating with industry when needed. But after reading ProPublica's allegations, along with the Heart Rhythm Society's flat-footed responses, I was left with the sense that there is more greed at work here than a sincere desire to improve the profession. In an absolutely perplexing move, Dr. Murray Kopelow and the ACCME are proposing a revision to their Standards for Commercial Support that will undermine those standards. Currently, when an education company solicits money from industry to underwrite a course for doctors, they must disclose this inherent conflict of interest, and they often do so by printing the company's logo somewhere. This tells you that the course is likely to biased in favor of a Lilly product, and that you should hightail your way to a different website. But since it is offering you 20 free CME credits, you might be tempted to take the course. If you do, you will at least know that you should evaluate the content very carefully for bias. --The name of the product(s) marketed by the supporter that might be relevant to depression (in this case, Cymbalta and Symbyax.) Disclosing this is crucial, because many doctors do not know exactly which products a particular company markets, and therefore may not realize how the company has a financial stake in the CME program. --The amount of money the supporter has paid the educational company to create the CME course. The more money that is at stake, the larger is the incentive for a company to bias the program in favor of the supporter's drug. Did Lilly pay Medscape $100,000 or $1,000,000 for this course? If it was $1,000,000 (and I'm guessing this figure is closer to the true amount), a learner would reasonably become even more skeptical about the scientific validity of the course. But instead of increasing disclosure, ACCME is proposing a decrease in disclosure. They are, quite literally, proposing that all disclosures get buried in the fine print. I assume that ACCME's motivations are pure--apparently it believes that it has already succeeded in scrubbing all commercial bias from CME courses, and that there is one loose end to tie up, which is getting rid of company logos. But the organization has deluded itself. In fact, commercial bias continues to be rampant throughout the CME world, and this proposal will be a great gift to drug companies and their education company sidekicks. Any MBA will tell you that the best marketing uses advertising that doesn't look like advertising. That way, the customer does not realize that there is a hidden agenda. Commercial CME already is advertising disguised as medical education--this new proposal will make that disguise even more impenetrable.